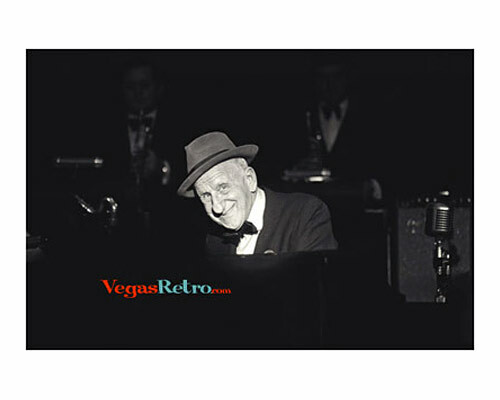 One of Vegas' all time favorites, Jimmy Durante could do anything. The singer/dancer/comedian known as the great "Schnozzola", began his career as a piano player at parties on the Lower East Side of New York. From vaudville to radio, TV and movies Jimmy's talent and personality brought him fans from around the world. One of Durante's famous quotes about success: "Be awfully nice to them going up, because you’re gonna meet them all coming down." According to the book, "Hollywood Trivia," (Greenwich House, 1984), by David P. Strauss, Jimmy Durante's famous "Mrs. Calabash" sign-off referred to his first wife, Jeanne Olson. Calabash was the name of a Chicago suburb they both liked.